The German airline, Lufthansa has revealed seven new destinations in Germany and Europe will be included in its new Summer 2019 timetable. There are several weekly flights to Strasbourg and Rostock for the first time, and the offer is being extended to Spain, France, Italy and Croatia. “The summer timetable offers business travellers important connections via Munich to the rest of the world. Holidaymakers can also look forward to attractive new holiday destinations, especially around the Mediterranean,” says Wilken Bormann, Lufthansa CEO Hub Munich. Lufthansa is flying from Munich to 140 destinations in 46 countries this summer. These include 113 destinations in Germany and Europe that can be reached non-stop from the southern Lufthansa hub. On April 9, Lufthansa will be taking off from Munich to Strasbourg for the first time. As the seat of the European Parliament, the city in Alsace is an important business destination. But Strasbourg is also interesting for short-term holidaymakers: The old town is a UNESCO World Heritage Site. The Bombardier CRJ900 brings passengers to Strasbourg five times a week, offering an optimal option for business and leisure travellers. Alicante is on the Munich flight plan for the first time on April 12. An Airbus A320 will fly to the port city on the Costa Blanca three times a week. Until now, Tivat has been considered a little-known holiday destination. Now, a less than two-hour flight links the city in Montenegro to Munich. 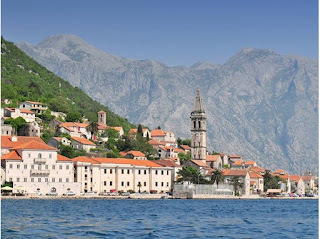 Steeped in history, Tivat is located near the Bay of Kotor and, with its historical settlements by the fjord-like bay, is a UNESCO World and Natural Heritage Site. From April 13, Lufthansa will be taking off in an Airbus A319 to Montenegro every Saturday. After a long break, Rostock/Laage is back on the Lufthansa flight schedule. From May 1, the CRJ900 will be flying from Munich twice a day and on every Sunday afternoon. Transfer passengers have optimal connections to the worldwide Lufthansa network in Munich. Also new in the timetable is Biarritz. The seaside resort on the French Atlantic coast will be served every Saturday from May 25 with a Bombardier CRJ900. The legendary holiday destination offers long sandy beaches and is an Eldorado for surfers. For the first time, northern Croatia is just an hour’s flight away from Munich: Rijeka is the name of the new Lufthansa destination, which is considered the gateway to the Croatian islands. On Saturdays, also from May 25, a Bombardier CRJ900 will fly to the Kvarner Gulf region.